This fledgling singer-songwriter’s performance showed glimpses of a maturity and sophistication beyond her years. Her lush sultry vocals met with powerfully evocative lyrics showing that this diamond in the rough is indeed one to watch. Coming to know about Faye Meana, or her first headliner, was a fortunate stroke of serendipity. Thirty-six hours before she graced the stage, I was unaware of how this raw, prodigious artist, was an old soul inhabiting a young body. Unlike previous live shows I had been to of up and coming artists, the atmosphere at The Islington was one of uncertainty but that rapidly changed as audience members became awe-struck by her poignant storytelling. 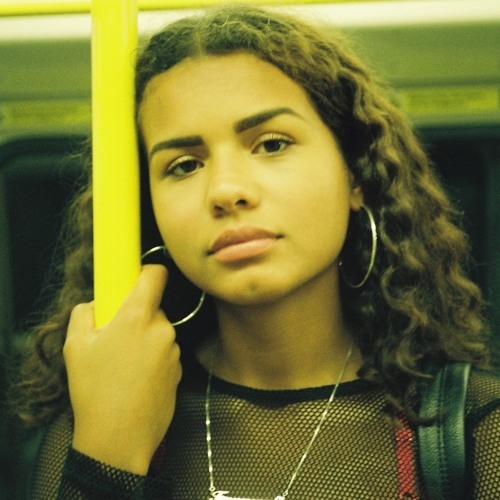 What is astonishing about this 20-year-old London-based musician, is her ability to make people vicariously live her heart-breaking experiences just from hearing her vividly written lyrics. Last Thursday was no different, as Faye created a cosy and open ambience with mesmerising melodies. There was this indubitable feeling of surrealism by the way everyone was transfixed by her set, you saw this timid personality become this magnificent talent. Meena also produces all of her music, which she says is a blend of Neo soul, R&B and Hip-hop. When ‘Move On’ was being played, a ’90s nostalgic vibe began to warm the hearts everyone in the audience. Citing an icon – Erykah Badu, as one of her major influences, it became evident that her performance would be something for the music purists to truly appreciate; especially when we were treated to a cover of the aforementioned artist’s single ‘Other Side of the Game’. Upon my quick discovery of Faye Meana, I quickly realised that once her sweet soprano begins to serenade you, it constantly leaves you wanting more, like her personal rendition of Snoh Aalegra’s ‘Sometimes’, it produced grooves which took the crowd to an otherworldly sphere. Throughout the duration of ‘Get Back to Us’ and ‘Now You See’, there was contrast between the bouncy energy and catchy hooks being transmitted from her, and the band in comparison to her wistful lyrics. This peculiar concoction produced a smooth refined jazzy sound which had me thinking of a young and gifted Brandy Norwood. Continuing with her ’90s leitmotif, we heard an unreleased song that encapsulated the edgy yet playful style of TLC, adored by all R&B stans. But unquestionably, the exceptional number of the night was ‘Patience’ which had people across the room dancing like it was 1992 and Mary J. Blige’s ‘Real Love’ had just been released. With that being said, the performance also oozed the class of a certain Sade Adu as Meana had the crowd captivated by what was stellar maiden gig.